Christchurch interview broke The Project New Zealand's Patrick Gower. The Christchurch interview that broke a panellist on The Project New Zealand. 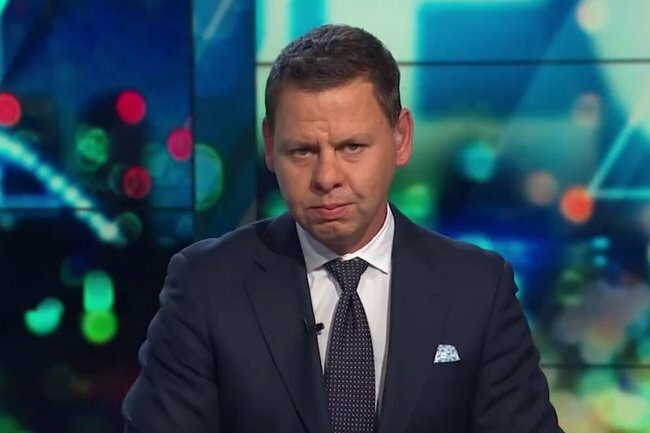 Patrick Gower is one of the most recognisable faces on New Zealand television. He’s a veteran of Kiwi journalism and has covered many horrible, hard news stories. Since the Christchurch mosque attacks on Friday, Gower has been in the South Island city covering the tragedy and speaking with family members of the victims. On New Zealand’s version of The Project, Gower explained how it was an interview with a young man named Abdi on Sunday that finally “broke” him. “There’s no question that the last 72 hours has changed me. There’s just a mist of extreme grief everywhere in Christchurch,” he explained, describing scenes of loved ones searching for their lost family as “like a warzone”. Gower explained that Abdi recounted what happened to his three-year-old brother Mucad Ibrahim, the youngest victim of the terrorist attack. “He said words that I will never forget, ‘Everybody started running, and I just lost the boy’. “Think of that, think of how horrible that is, not just for the three year old but for the brother,” Gower said. “And that broke me. It wasn’t because it was really sad, it was because for the first time in my life I really comprehended something that was truly evil. Footage of the interview showed Abdi recounting what happened to Mucad. “Everything was just going too fast. I just thought it was fireworks. Everyone was running, and I just started to run and just lost the boy,” Abdi said, as tears started forming in his eyes. On The Project, Gower said that the victims – whether they had lived in New Zealand for decades or just months – were all Kiwis.